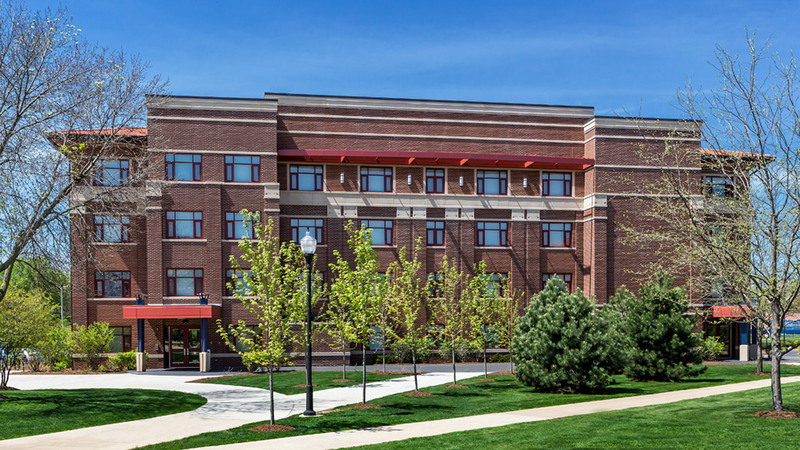 Aurora University's four-story Centennial Hall, designed by Cordogan Clark & Associates, provides rooms for 107 students. 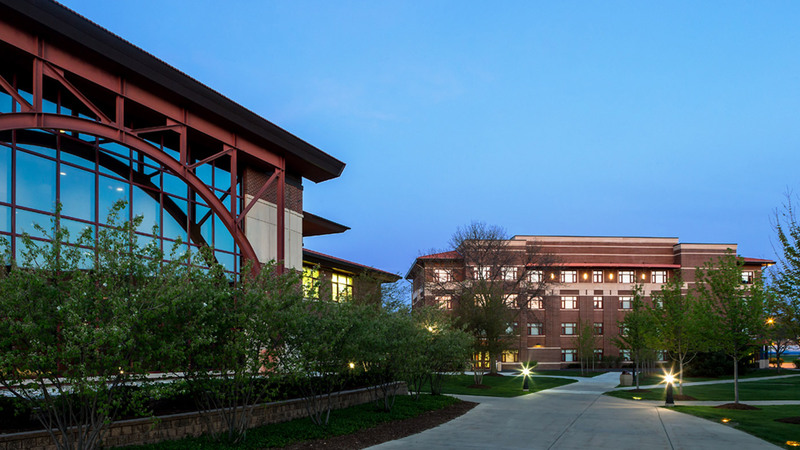 The university's comprehensive improvements include new facilities as well as renovations of existing ones, to meet the housing needs created by growing enrollment. Centennial Hall is located on the southwest side of campus alongside the new Institute for Collaboration building, also designed by our firm. The new design responds to this building as well as the overall architectural design of the campus. The four-story 27,700 SQ hall is constructed as a free-standing building versus an addition to an existing hall, in order to preserve an historic grove of pine trees. The building incorporates sun shades between floors enhancing the structure's aesthetics. The walls are assembled with insulated masonry cavities to maximize energy savings. 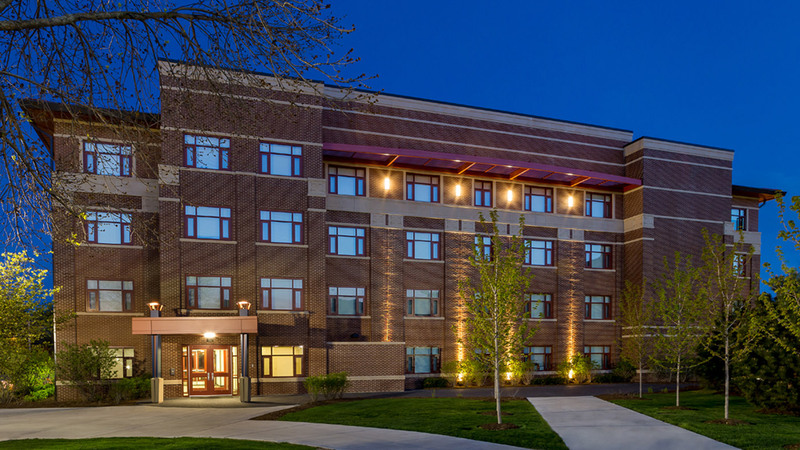 In addition to providing individual student rooms, it also provides rooms for resident assistants on each floor, as well as for a Residence Hall director on the first floor. Each floor features shared student community rooms and bathrooms/showers. A larger student community space / lounge area is located on the first floor, along with a laundry room and mailroom. 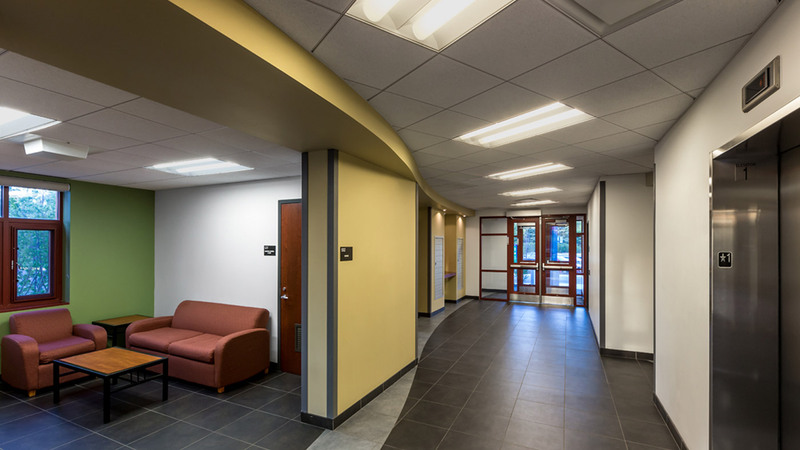 The scale of this Residence Hall creates an intimate space encouraging a sense of belonging for the students, a friendly transition from home life.